Green Yeti landed on our planet in early 2014. The band members were not new guys in town but came from Greece’s underground doom scene, from bands like Brotherhood Οf Sleep, Reversed Nature and Stonenrow. Their first effort released in 2016 featuring four tracks spanning over the 60-minute mark, in a typical doom fashion! 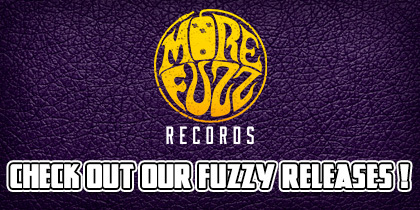 For more check here what Mrs. Dopey had to say when she reviewed it for More Fuzz. Since then the band stayed a trio but Tsak replaced Fotis behind the kit and between shows like opening for Egypt in Greece, in Sonic Ritual Fest in Athens along with Duel and Yawning Man, and a mini Greek and Balkan tour they already prepared the successor of last year’s debut and released it this May! The band’s sound feels more tight with the addition of Tsak in drums, while they managed to keep the elements that made their previous record sound good. Some of them are, the long and epic journeys, and by journeys I mean the mammoth tracks. 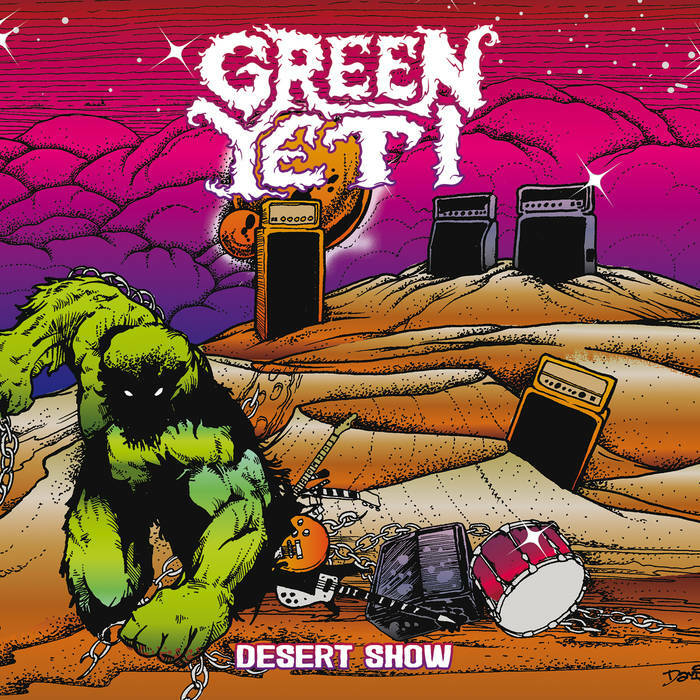 “Desert Show” has “only” three tracks, but once again with the typical doom time thing going on: the first (“Black Planets“) and third (“Bad Sleep“) are 10 and 20 minutes respectively and in between them is the first track that was released before the album, “Rojo” with Spanish lyrics. I personally believe that the choice of this language feels more appropriate with the whole vibe of the track. A theremin comes from the distant depths above the main riff, which feels tight and heavy but at the same time it flows with an ease which highlights the band’s evolution in terms of songwriting. Furthermore the familiar heavy psych licks – courtesy of Mike- elevate the song in space and his vocals follow too! Underneath you can feel the trembling bass of Dani and Tsak’s thunderous drumming. Of course, all the other songs are too permeated by this general concept in terms of performance. The heaviness has a prominent role in “Bad Sleep” where the band flirts with a sludgier shade of doom in Part I and returns to typical psychedelic doom in Part II. Lastly, I give you the… first track, “Black Planets” again with an amazing structure (check how, where and when the vocals are placed in terms of refrain etc) and intoxicating melodies. An effortless balance between doom and heavy psych! Tripping through the desert, following the caravan!